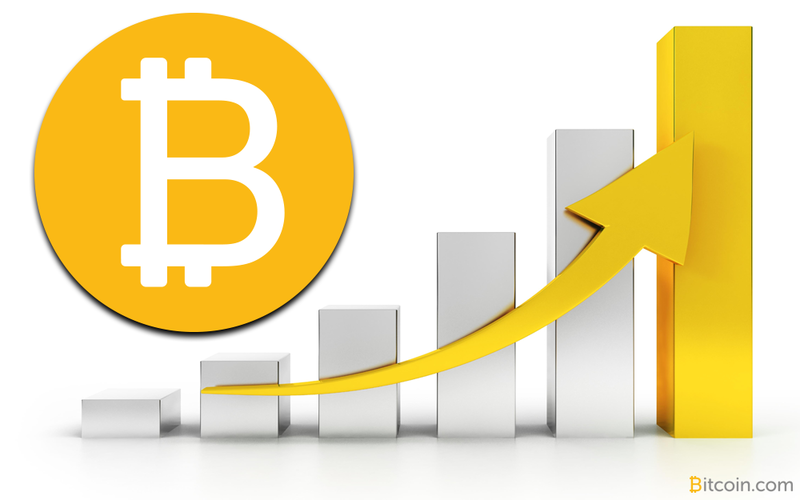 The bounce in the price of cryptocurrencies​, especially Bitcoin,​ has led the overall market capitalization to cross $95 billion yet again. 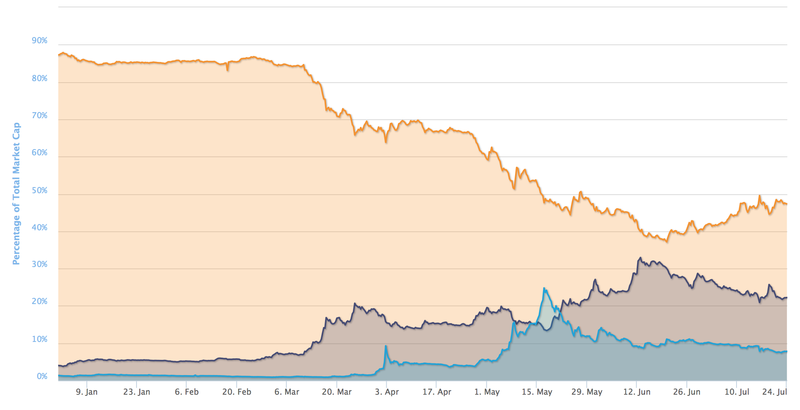 The mood in the cryptocurrency space has been muted for most of July. However, it began to change due to rising confidence surrounding the solution to Bitcoin’s scaling debate. Cryptocurrencies began 2017 with a market cap of just $17.68 billion, which reached a high of $116.28 billion by mid-June. This was primarily caused by a string of positive news and sentiment around Bitcoin and Ethereum. The market capitalization crossed $100 billion for the first time in the first week of June. It’s interesting to see how 2017 has changed the market dynamics with Bitcoin’s market share dropping from approximately 90% to less than half. This doesn't mean that Bitcoin hasn't risen in price or market capitalization, but is more indicative of how much other cryptocurrencies have risen during the year. In exact terms, Bitcoin accounted for 87.33%, Ethereum accounted for 3.98%, and Ripple accounted for 1.32% of the combined market capitalization on January 1, 2017, and by mid-March Bitcoin's market share had dropped to around 79%. It fell further to about 63% by the beginning of April. By June 20, although Bitcoin’s price was hovering at $2,500 levels, its market share touched a low of 37.13%, while Ethereum moved up to 30.04% and Ripple was at 11.09%. In the last two weeks, all cryptocurrenies have been under pressure, pulling down the overall market capitalization to $62.5 billion. The decline and subsequent revival has helped Bitcoin regain its dominance; it now accounts for 47.6% with its market capitalization at $45.22 billion. In terms of value, the top seven cryptocurrencies have market capitalizations in billions: Bitcoin's is 45.2 billion, Ethereum's is $20.95 billion, Ripple's is $7.37 billion, Litecoin's is $2.3 billion, Ethereum Classic's is $1.47 billion, NEM's is 1.46 billion, and Dash's is $1.424 billion. These together hold $80 billion, which is equivalent to 84% of the overall market capitalization.